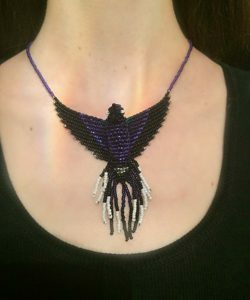 The phoenix beaded pendant necklace is designed with the highest quality glass seed beads. 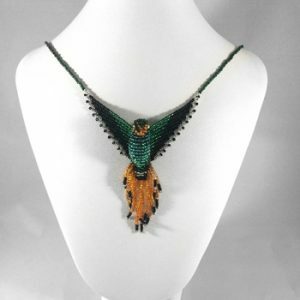 Every beaded bird necklace features a strong magnetic clasp so that it is easy to put on without any assistance and strong enough so that you do not have to worry that it will fall off while you are wearing it. 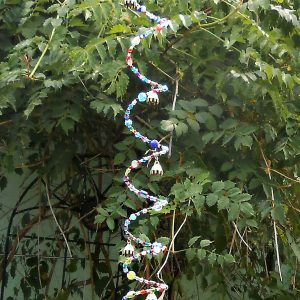 When you are not actually wearing your phoenix beaded pendant necklace you could also display it as wall art or hang it over a mirror to add beauty and magic to a room as a reminder of personal triumph. 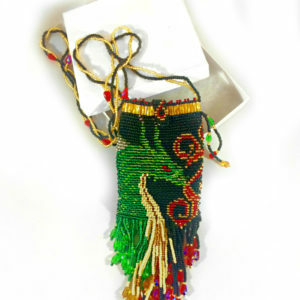 Every bead is sewn through several times to give strength to every piece of jewelry. 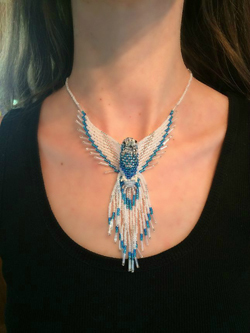 Even so, the beaded bird necklaces are not toys and are not recommended for children under 13.